Bart Simpson #88 is the eighty-eighth issue of Bart Simpson Comics was released on January 22, 2014. 2.2 The Gluten, the Bread and the Hungry! "Bart Simpson goes on mock trial and it's up to his mock lawyer, Ralph Wiggum, to prove his innocence! Will justice be served? Then, Pieman and the Cupcake Kid take on a new crime team, Glutenus Maximus and his sidekick Gluten Tag, whose pastry-related misdeeds have led to a ban on all baked goods in Springfield. 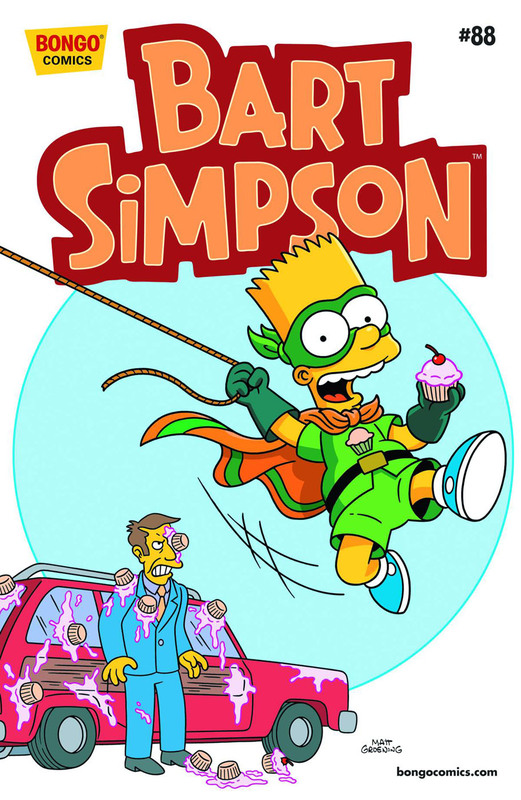 How will the heroic duo battle their foes without their arsenal of pies and cupcakes, and what's worse, what will Homer do without his daily dose of donuts?" Main article: The Gluten, the Bread and the Hungry!